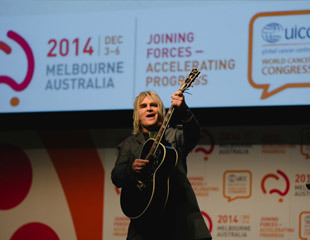 Mike Peters will take to the World Stage later today when he delivers an opening address to 3,000+ delegates and world leaders at the World Cancer Congress 2014 in Melbourne Australia. 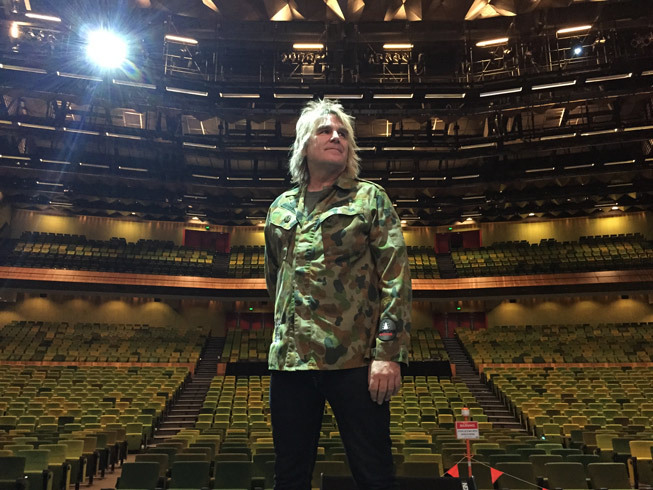 Mike has been in Melbourne for a few days now in preparation for his opening speech during which he is expected to perform at least one song. 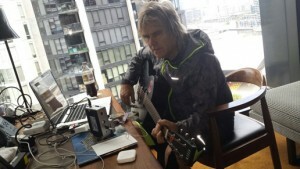 Mike has also been rehearsing for Saturday evening’s Inspiring Lives / Inspiring Music finale event with special guests Glenn Tilbrook from Squeeze and Melbourne’s very own Firebird Trio. 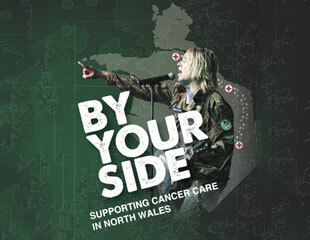 UICC have generously donated 100 tickets which are available for Alarm / Mike Peters / Squeeze and Firebird Trio fans to attend the finale concert Inspiring Lives / Inspiring Music on December 6th. Please email laney@lovehopstrength.org to get yourself a pair of tickets free of charge. 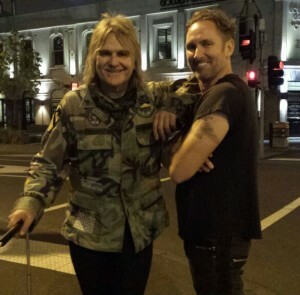 First arriving into Sydney on November 30th, Mike was met by LHS Australia’s Matt Adam Smith for a catch up and meeting on the world famous Bondi Beach before flying on to Melbourne for rehearsal sessions with the Firebird Trio from Melbourne who are one of Australia’s finest rockabilly swing bands featuring Chris Nomad on double bass (Chris also plays with Brian Setzers Rockabilly Riot), guitarist and brother Pete Belair (who also plays in the legendary Nekromantix), and drummer extraordinaire Eddie J, Fury (who has also played with Stray Cat and Dead men Walking stickman Slim Jin Phantom). 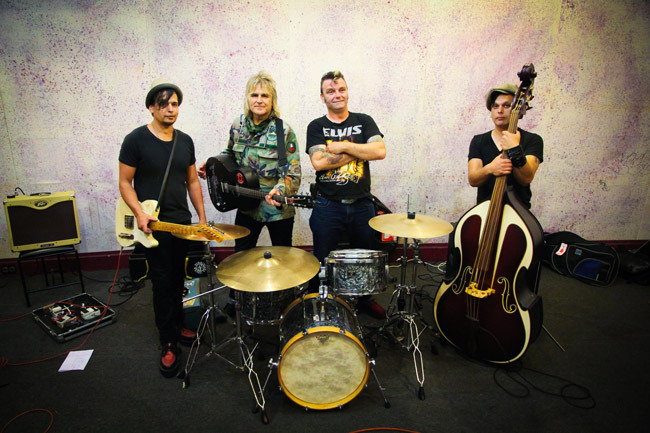 The band and Mike hit it off in an instant and in five hours put together a powerhouse set that is all set to rock the congress like never before. The chemistry was such that the quartet may well enter the studio to cut some tracks later this week if the schedule allows. 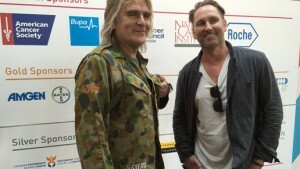 During the evening Mike was also joined by Love Hope Strength co-founder James Chippendale who had just flown in from Austin, Texas. Early next morning, Mike and James could be seen working on the opening address before checking out the LHS booth in the global village of the Melbourne Exhibition centre and meeting with UICC staff before taking a look at the main stage where all the action at this historic congress will take place. 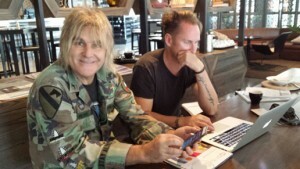 Andy Labrow from LHS UK and Stash Silonski (LHS USA), where both on hand to capture everything for the upcoming LHS Documentary Movie which is being completed under the direction of Russ Kendall from Kaleidoscope Pictures in the USA. 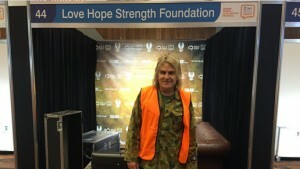 Andy Labrow has also been building a new website for the Australian chapter of LHS which is being launched in time for the historic congress and can be seen here at www.lovehopestrength.org.au. 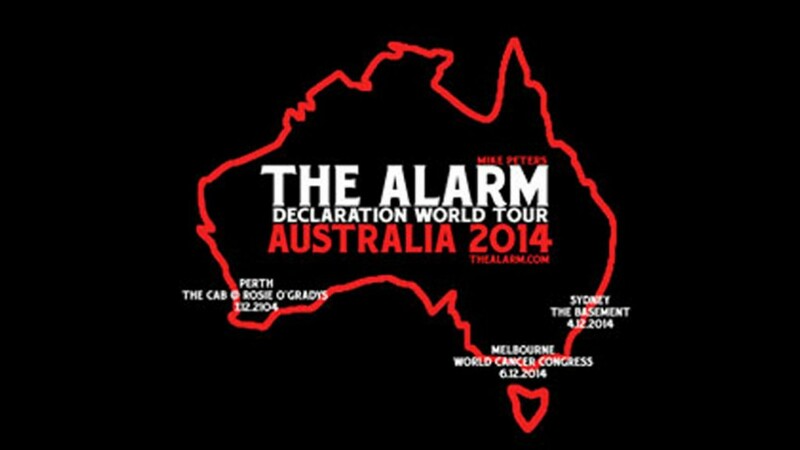 In between his Cancer Congress appearances, Mike will be flying down to Sydney on Thursday 4th December to perform his first ever live concert in Australia which will take place at The Basement in Sydney and then across to Perth on Sunday 7th for an appearance at The Cab at Rosie O’Grady’s before flying back to the UK on Monday 8th December.